Free from Amazon until midnight tonight. Cooking on an Open Fire is Made Quick and Easy. 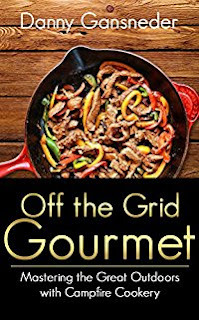 Enjoy real, filling, delicious meals outdoors, whether you're camping out or bugging out!. You don't have to settle for beans and franks anymore.This book shows you how to prepare real meals, and desserts, too. If you can cook it in your kitchen at home, you can cook it outdoors over a cooking fire. Learn how to make a safe, effective cooking fire, as well as how to bake bread, casseroles and more in a simple baking hole. These instructions and recipes will teach you how to please the palate while filling the belly. The recipes range from simple for beginners to gourmet for experienced chefs, and by using this book, you will become an experienced chef. When the power goes out, and all you have is an open fire or a barbecue grill, you can still enjoy delicious cooked food. Find out how in this book. Bacon and eggs, pancakes and more can be cooked on a BBQ grill or an open fire. It isn't rocket science, it's just cooking. Use your garden produce in these recipes, and you will be amazed at the flavor. 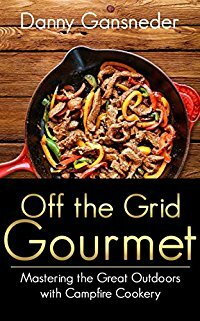 This book has plenty of recipes where you can substitute other ingredients, so start experimenting, and enjoy delicious food outdoors. What could be better than recipes for outdoor cooking? Cooking outdoors is an adventure, and you can make delicious meals and snacks. Go for it, and try developing some recipes of your own.